It was the second time this month an appeals court has overruled decisions by a Sao Paulo judge, Victorio Guizio Neto, seeking to temporarily block the deal. The higher court said Saturday it was not up to Guizio Neto to decide the future of the proposed joint venture, noting that the Brazilian government held a "golden share" in Embraer that allowed it to veto strategic decisions if it wished, according to state news agency Agencia Brasil. Embraer, the third-largest aircraft manufacturer in the world, was founded as a state group in 1969 before being privatized in 1994, though with Brasilia retaining the "golden share." 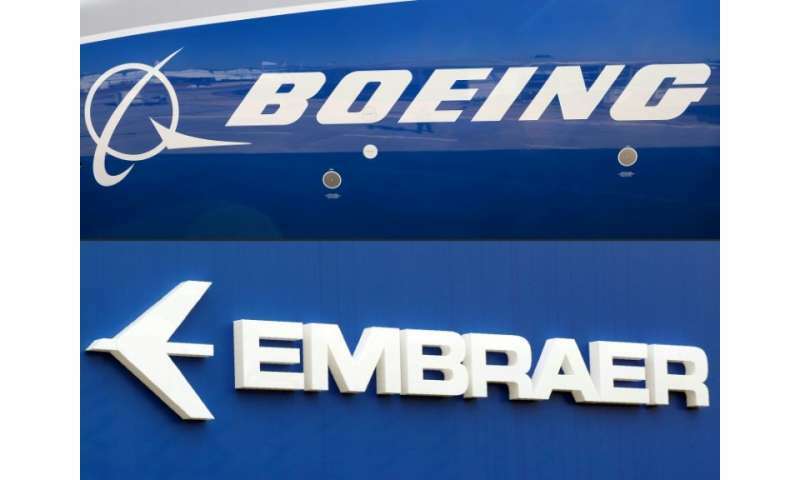 Under the planned deal, Boeing is to take an 80 percent stake in Embraer's commercial business, thus allowing it to offer planes with capacity of up to 150 seats—a market in which Boeing currently does not compete. Embraer's military aircraft business was excluded to overcome Brazilian government opposition to giving up a national security asset to a foreign entity. When the two planemakers originally announced their deal in July this year, they said they expected to wrap up the transaction by the end of 2019. Judge Guizio Neto two weeks ago ordered the accord be put on ice until the next government, which takes office January 1 under president-elect Jair Bolsonaro, has a chance to examine it. That was overturned by an appeals court four days later. Then on Thursday Guizio Neto issued a new injunction at the request of unions working in Embraer's Sao Paulo factories. The reversal on Saturday was a sharp slap-down to that. The judicial back and forth has had a yo-yo effect on Embraer shares, sending them into the red with each injunction only for them to recover when the appeals court steps in. After the first injunction was overruled, the two planemakers said they were forging on with their deal "subject to approval by the government of Brazil."